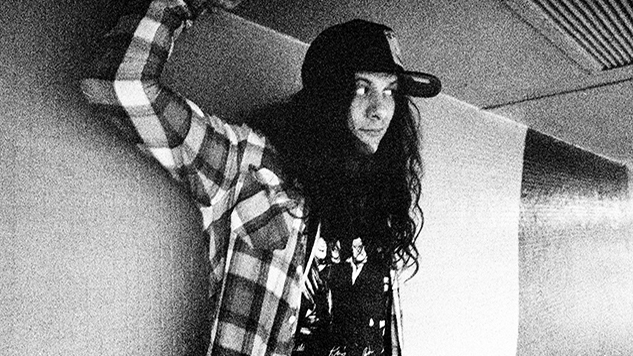 Kurt Vile Releases New Track, "One Trick Ponies"
Kurt Vile has shared “One Trick Ponies,” the third single from his forthcoming album Bottle It In, out Oct. 12 on Matador Records. “One Trick Ponies” is a classic roots-rock jaunt, with Vile showing off on harmonica, piano, guitar and vocals, and features from Warpaint’s Stella Mozgawa and Farmer Dave Scher. The song finds him back in Waking on a Pretty Daze form, the thick guitar tone and animated vocals sounding more like that landmark release than anything from his recent work. But Vile is Vile, and his style does not falter. He’s cool as a cucumber, even when he’s ripping it. “One Trick Ponies” has his signature low-key complex lyricism, with lines like, “and we was tripping out ‘cause we needed a way out / and all them other crystalline mystic rationalizations,” somehow managing to sound like the most unruffled one-offs ever. Listen to “One Trick Ponies” below (or via your streamer of choice here), and revisit Vile’s previous Bottle It In singles “Bassackwards” and “Loading Zones” while you’re at it.